Recovery after tough exercise is vital for our muscles to repair and develop. A simple mix of both protein and carbohydrates within 30 minutes is backed by evidence to provide the necessary nutrients to our bodies. 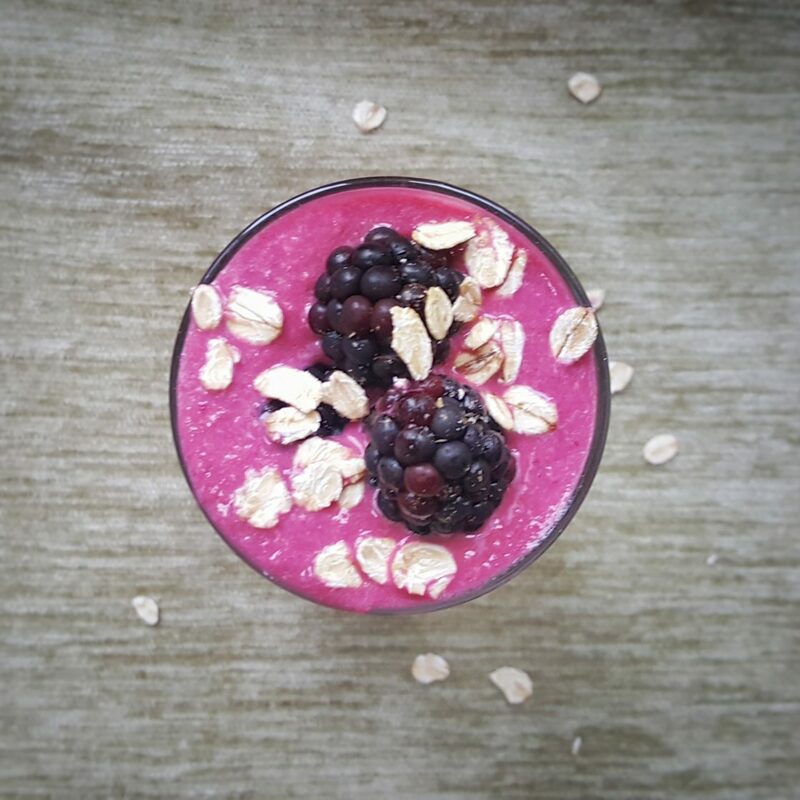 This smoothie is light and easy to digest whilst being super quick to prepare. 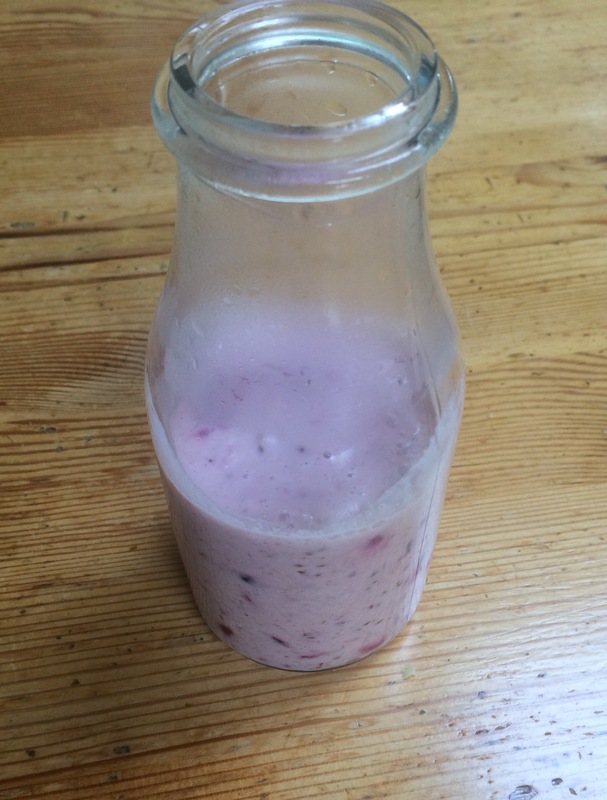 If I’m traveling some distance to training, I will blend up the fruit and oats with a little water at home and simply buy some milk after training to mix through so that the milk doesn’t sour in my gear bag. I’ve used blackcurrants here but any berry combination would be perfect! Place all the ingredients in a blender or tall jar if using a handheld blender. Blend until smooth, add some more milk or water if you find the consistency too thick.